PARIS — After the U.S. withdrawal from the nuclear deal with Iran, despite the fact that some European countries have shown a tendency to stay in the JCPOA, events now transpiring show that Europe will have to choose between the United States and the real Islamic state, Iran, which is drowning in civil unrest amid an economic crisis. The U.S. Department of State recently threatened sanctions on European countries that have not ceased importing oil from Iran as of November 4, declaring the United States would carry out further sanctions to isolate Iran both politically and economically. The most important threat the Iranian regime faces is dissent from within the country, from the people themselves, long suffering under repression and economic incompetence, and corruption. The protests that started across the country on December 2017 reached the capital on June 25, when merchants from the bazaar in Tehran, called Bazaaris by Iranians, came out into the streets. In just two hours, chants addressing economic woes turned into calls for regime change when protesters chanted, “We don’t want clerical rule!”. The demonstrations continued for several days, and regime security forces resorted to brute force, arresting and attacking protesters. The situation in the capital is still tense, reported Iran News Wire. Can the Iranian government control the smoldering powder keg of societal unrest? Merchants who own shops in the traditional Iranian market, the bazaar, play a very important role in the economy, especially with the Iranian foreign exchange market. When these people join the protests, it shows how grave the economic situation in Iran really is and that the Rouhani government has no concrete solution to resolve the increasing economic crisis. In the latest round of protests at the turn of the year, the impoverished and unemployed classes were the main players; this time, the middle class and Bazaaris have also joined as poverty and economic issues have increasingly affected all classes of society. Rumors have been flying on the possibility of Rouhani stepping down from power and resigning from the presidency. This kind of speculation has increased after Trump’s departure from the nuclear deal and Rouhani’s policy failure in solving economic problems. If the Rouhani government had a solution to the Islamic Republic’s many crises, the regime would have already enacted corrective measures. On the contrary, we can plainly see, in light of the increasing protests, that expecting any kind of reform from within the Islamic Republic of Iran is a game that no one wants to play anymore. 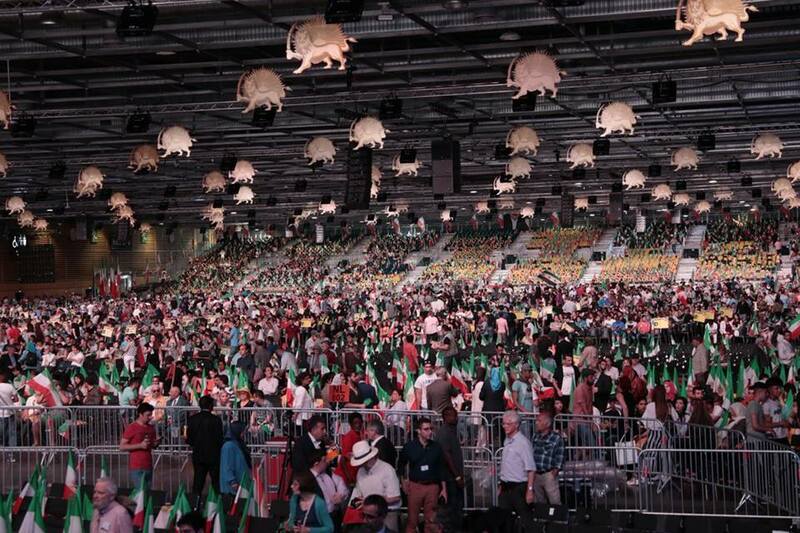 During the recent demonstrations, protesters chanted, “Death to freeloading bullies!”, “We don’t want clerical rule!” and “The government should be ashamed and let go of power!” These demands turned into an international rallying cry during the Free Iran International Gathering Saturday in Paris which coalesced around the message of regime change and freedom for Iran. 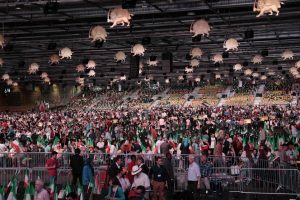 Hundreds of thousands participated as they did in prior iterations, and Mrs. Maryam Rajavi, the President-elect of the National Council of Resistance of Iran, addressed the crowd to highlight the opposition movement’s future strategy to achieve freedom for Iran. It is the world’s largest gathering of those who advocate regime change. The event attracted more than 100,000 people who come together from around the world in order to make their voices heard, and in hopes of freeing and liberating their homeland. American political voices were heard at the event as well. Rudy ended his speech calling for next year’s Free Iran Gathering to be held in Tehran. The crowd erupted in jubilation. The stage is set for the mullahs to fall.